Is your city, municipality or HOA trying to figure out what to do with a unsightly vacant area? Does your current space not meet the expectations of ever changing community demographics? 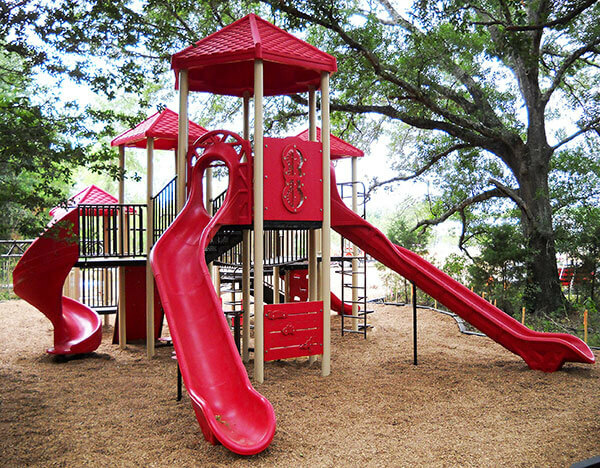 At Adventure Playground Systems we have mastered the art of designing for multi generational appeal. Our team of Adventure Play Experts specialize in creating timely and cost effective solutions for public space transformations. 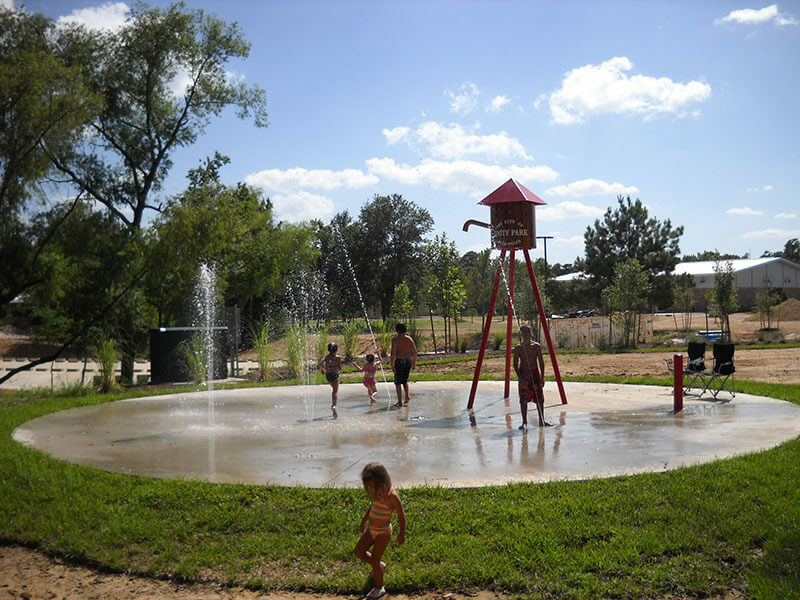 City of Magnolia came to us with several of the same concerns as they were looking to transition a previously abandoned floodplain into a quality recreation area for its residents. 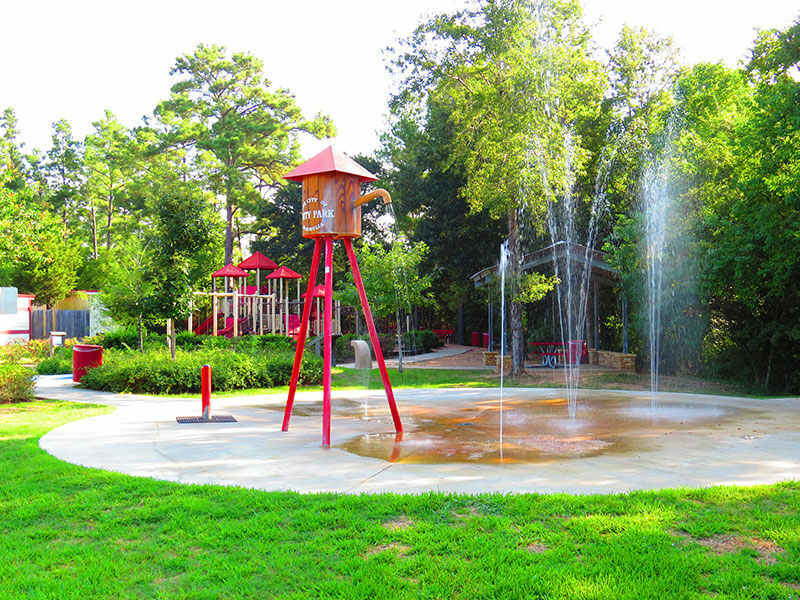 Our Adventure Play Experts delivered a multifunctional community destination that offers a splash pad, skate park, picnic area, walking trails and designated play space. Featuring one of the most popular systems from our flagship APS line, the APS 195ADA-02 offers 24 exciting play events to entertain children 5 to 12 years old. 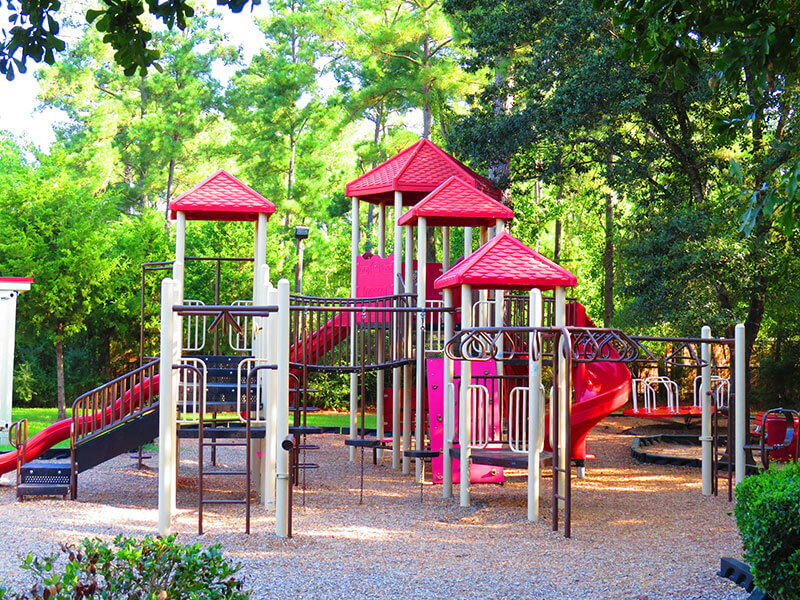 This system is packed with play value and covers a whopping 2790 sq ft, making it the perfect choice for any busy park. 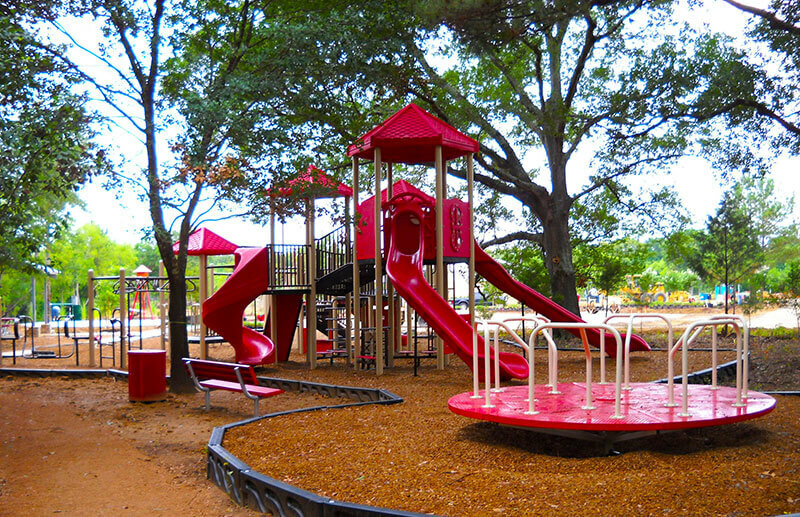 This bold playground design features elegant neutral posts and bright crimson play elements which perfectly accent the parks existing surroundings. 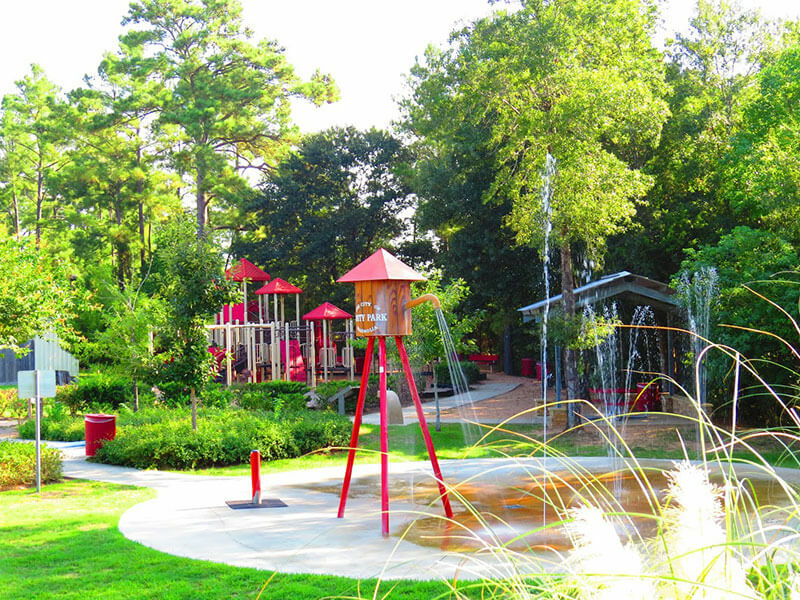 Additionally the play area offers several independent play events including a merry-go-round, commercial swing sets, and more. The City of Magnolia wanted to stay consistent with complimenting the beautiful surrounding elements of nature in it’s aquatic playground as well. 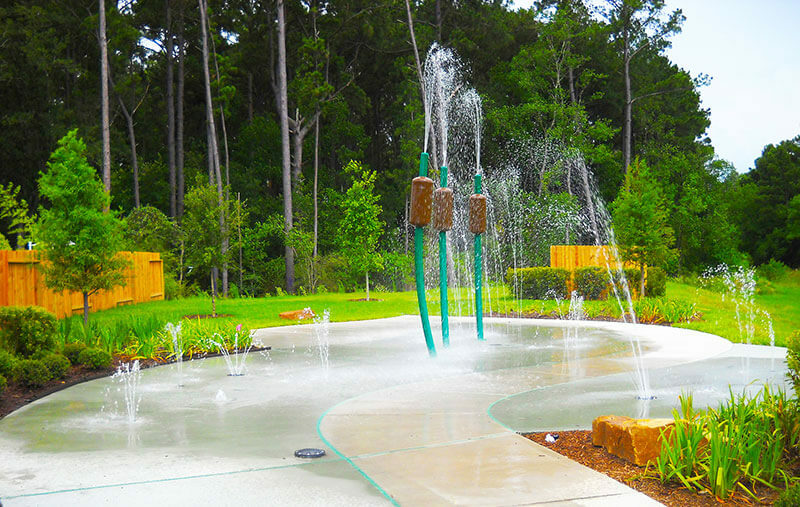 The nature themed aquatic design features cattail spray posts, inground spray nozzles and a Magnolia Water Tower spray feature that will maintain a welcoming ambiance for the community year round. The updated outdoor recreation area not only creates a beautiful dichotomy of color and design, it literally brings to life Magnolias, the city’s namesake.